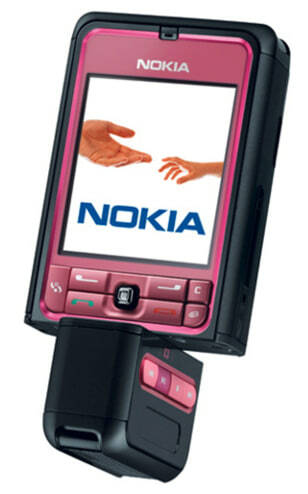 The bottom of Nokia's 3250 model pivots to accommodate different uses. In one position the numerical keyboard is in front for normal phone or messaging use. A second position puts camera controls in a convenient position, and a third position reveals music player controls.